Weight loss isn’t always just about food & exercise, this is just what we are told and therefore believe! There are so many more parts of your lifestyle to consider. From how much sleep you get to your hormone balance… Or imbalance for many people. Let’s be frank now, I speak to women on a daily basis who are currently on either HRT medication, blood pressure tablets, contraceptive medication, anti-depressants or in some cases, a cocktail of many of these. In a lot of cases, it is causing them to gain weight…. Rapidly! I met a lovely lady earlier this month who suffered an unimaginable level of stress. Her GP prescribed a medication and within a month she had gained over a stone in weight. Within two months, that grew to nearly 2 stone! Needless to say, she stopped taking that particular med. But realistically, that kind of weight gain is not going to help anyone with self esteem or confidence issues, is it? Anyway, for many people who are struggling to lose weight, the cause is often a hormone imbalance. Now, I’m not saying that’s the case for everyone, but it is quite a high proportion, especially in women. Researchers are still trying to catch up with this shift in thought, and as of yet, there are no comprehensive studies to confirm the numbers. But that doesn’t make it any less real or true! Thyroid and insulin related problems have already been confirmed as catalysts for weight control issues, so what else is there? And can we beat it? To answer that, yes of course! But first we have to understand it! Who’s up for some learning? Leptin is your “control” hormone! It’s the good guy that says “Honey, I think you’ve had enough”. Lepton is released from your fat cells into your blood stream. From here it travels to your brain where it pulls closed the hunger doors and tells you that you are full! Leptin is our friend! But like all friends he has a nemesis out there waiting to undermine him from his important task. Fructose! The naturally occurring sugar found in fruit, impedes Leptins cause & duty. If you are consuming your recommended 5-a-day of fruits, then you will probably be ok. BUT (there’s always a but! ), over the past decade, fruits have been modified to produce a higher level of Fructose, add to that the sugar in any processed foods you eat, and suddenly your body is overwhelmed! Your liver can’t cope with the higher levels of fructose, and fails to convert it into an energy source to fuel your body. Your body will start to convert this left over product into fat, and it will start the process of releasing it into the bloodstream as triglycerides, depositing it in your liver and around your belly. Oh No! As the fructose converts to fat, your Leptin levels will also increase. Fat produces Leptin you see. And the chances are, you are going to end up with too much Leptin in your system. If this occurs, your body may well become resistant to its message. Meaning you won’t feel full and you will continue to eat & potentially gain more weight. Cortisol is your “stress” hormone, and often labelled the bad guy that causes weight gain. But it has some very good roles too… It motivates you to get up in the morning and smash your workout! However, when you are under stress throughout the day, cortisol can start to make you anxious, and its levels start to rise. When Cortisol rises, it encourages the conversion of blood sugar into fat for longer term storage. This was once upon a time very useful survival skill for people facing food shortages, however in todays day and age this does not pose as much of a problem, but the survival mechanism of the body is still there. Reducing the stress in your life will help to control your cortisol levels, but there is something else that can increase your cortisol levels. COFFEE! Your daily coffee could be elevating your cortisol levels quite significantly, causing your body to store up those fat cells it is helping to create when you least want it to! Are you willing to make some sacrifices to help your weight loss? We’ve all heard of Estrogen, and we all know that it is this hormone that makes us uniquely a women. But, it is also one of the most troublesome when it comes to fat loss. When your body functions on a normal level of Oestrogen, it can help you to remain lean by affecting the production of Insulin. But, when it goes wrong, it can be devastating for your weight. Here’s the science! When you consume food & drink, your blood sugar levels rise, Insulin then regulates and lowers this by transporting Glucose to three main parts of the body. When your Insulin levels are not too high and not too low, it sends a small amount of Glucose to your liver, a load over to your muscles to use as fuel and virtually the smallest amount to fat storage. When you are in good shape, your Pancreas produces exactly the right amount of Insulin to allow your blood sugars to rise and fall gently. However, when Oestrogen goes all out of kilter, all hell breaks lose, and the cells that produce the Insulin are put under a lot of strain. You can start to become insulin resistant if this occurs. If this happens, Insulin will get things muddles up and send more glucose to fat storage than to the muscles or liver. How to remedy this? Increase your fibre levels. Fibre helps our digestive flow and keep sour toiletting habits regular. This allows the body to process oestrogen excess and discard it in our waste. It’s not so well known that tester one can actually slow down your metabolism. In fact, you wouldn’t be silly to think the opposite seeing as men tend to burn off fat at a higher rate then women. However, it can do exactly that! Every day our bodies are subjected to an onslaught of toxins from genetically modified foods and synthetically modules hormones to the pesticides used on crops. Not forgetting the toxins absorbed through the skin from beauty products and moisturisers to those we take in through medication and processed foods. The barrage is literally endless! A number of these toxins, once in the body, start to behave in the same manner as the afore mentioned Estrogen. Scientists are now considering the possibility of these toxins causing early maturation and puberty for girls as well as the more feminine characteristics being displayed by some boys. All of this “fake” Estrogen starts to play havoc with the testosterone, which is crucial for a healthy hormone balance. Testosterone controls your muscle gains, and we all know more muscle increases your natural metabolism. Not forgetting that this elevated level of “fake” Estrogen is going to cause issues with your insulin levels. Whatever way you look at this, the combination is going to be catastrophic for any weight loss plans. So, your hormonal balance is a key part of your weight loss experience. Just one little kink could throw your results way out. You may still be sitting scratching your head, so I am going to elaborate on this subject on my Facebook page over the next few days & weeks, and that may help you to identify an imbalance, make sure you go and follow the FB page (the link is over to the right). 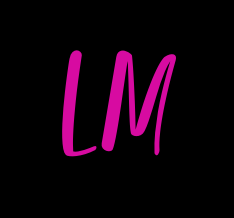 If you have any questions about the blog, then please feel free to email LM Fitness at info@lmfitness.info we are always really happy to hear your thoughts! Plus, remember if you have found this blog helpful or useful, Share it with your friends and subscribe to receive news of when we post new articles! You can also follow us on Social Media using the links to the right!